When my husband and I were out in California for our honeymoon, we had the pleasure of eating a variety of wonderful meals prepared by world-class chefs in the Napa Valley region. 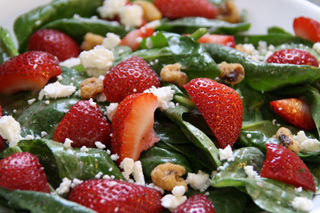 One of my favorite meals out there was a strawberry spinach salad with candied walnuts. It was absolutely incredible! The ingredients were so fresh and I found myself disappointed there was not more to eat upon finishing this delectable course. I have spent the last year in search of a good recipe to recreate the salad, but a key component was missing: the dressing. Then, after numerous failed attempts, I made the perfect raspberry poppy seed salad dressing: not too tart, just the right amount of flavor. It was time to try my hand at this salad again! The best part, it only takes 15 minutes or less to make this amazing meal! Wash and hull the strawberries. Then cut into quarters. 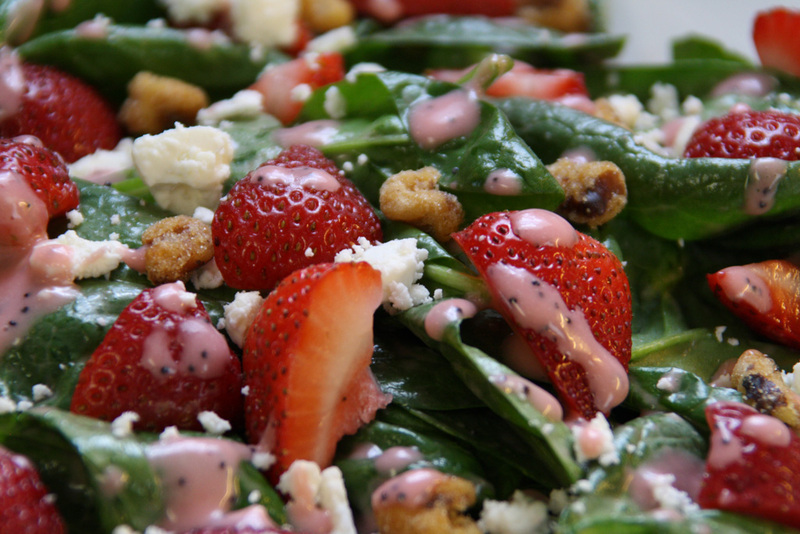 To ensure that the dressing spreads evenly across the salad, toss the spinach and dressing in a bowl with a cover. 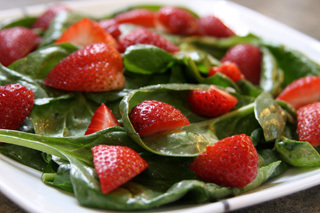 Then, place the spinach on a large plate. Next, top the spinach with strawberry pieces. 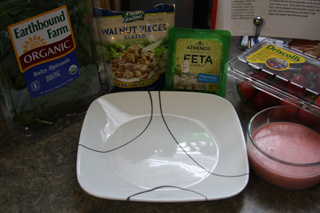 Sprinkle the glazed walnut pieces and feta cheese over the whole salad. 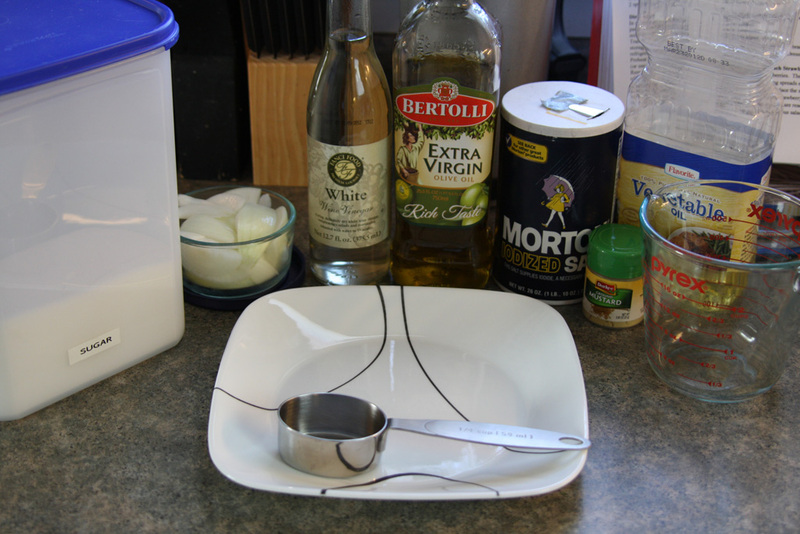 Just for a little more color and flavor, I sprinkled another half teaspoon of salad dressing on top. Now, you are ready to eat! Enjoy this healthy and delicious salad!